Our red planetary neighbor will soon be even closer and brighter as Mars is set to be in opposition, which will put it at its closest distance from the Earth since 2005. According to NASA, on Sunday (May 22), Mars will be in opposition, meaning the Sun and Mars will be on opposite sides of Earth. Mars will appear to rise in the east at around sunset and set in the west just at daybreak and its sunlit side will be visible all night long to astronomers and stargazers. 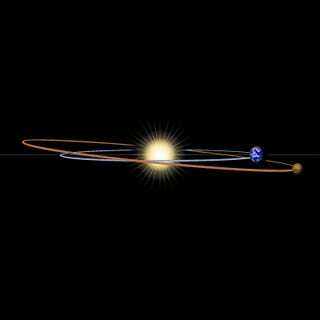 Then, on May 30, Mars will be just 46.8 million miles away from Earth, the closest it’s been in 11 years. 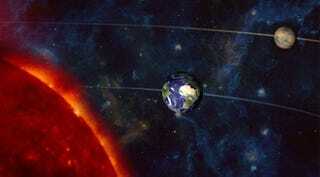 Oppositions occur about once every 26 months due to Mars’ orbit taking around twice as long as Earth’s. Some are also better than others due to Mars’ elliptical path versus Earth’s more circular one. This just happens to collide with an opportunity to see Mars closely. However, if you’ve ever wanted to see Mars at its absolute closest, you’re out of luck. A record was set in 2003 when Mars was only 35 million miles away. Before that, the nearest approach was nearly 60,000 years ago and experts expect the record to stand until August 28, 2287. This planet-watching opportunity comes just days after NASA released new images of Mars, which depicted changes in the surface and revealed the effects the changing seasons have on the environment.